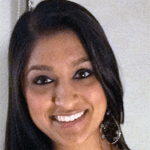 Meet Jasmine Faldu, a happy DAT Bootcamp customer who recently conquered the DAT. I’ve asked Jasmine to share her DAT experience with us as the featured student of November. I highly recommend creating a plan of how you will prepare for the exam prior to picking your test date. This will ensure you have enough time to thoroughly complete all of your materials. I would clear two to three months of time to prepare for the exam. Preparation includes studying for 6-10 hours per day and taking practice tests every week while simulating real testing conditions. During this period of time, focus on the ultimate goal: conquering the DAT. Do not get frustrated or nervous about low practice test scores or unfamiliar material that may arise. Every day will be a learning opportunity and you have to make sure you are open to making mistakes, learning from them, and moving forward. When material does not make sense, take the time to read up on it and take extra notes. You will thank yourself in the long run for taking your studying seriously. It is so worth it in the end. I also recommend taking the DAT the summer between sophomore and junior year if your schedule permits and you have completed all of the subjects tested in the natural sciences section. I planned my first two years of college in order to do this, and am very happy with my decision! I came across DAT Bootcamp with one week left before my exam, so I finished five of the six practice tests under timed conditions, taking one section right after the other to simulate real testing conditions. Then, I reviewed the sixth test and the random questions offered two days before my exam. 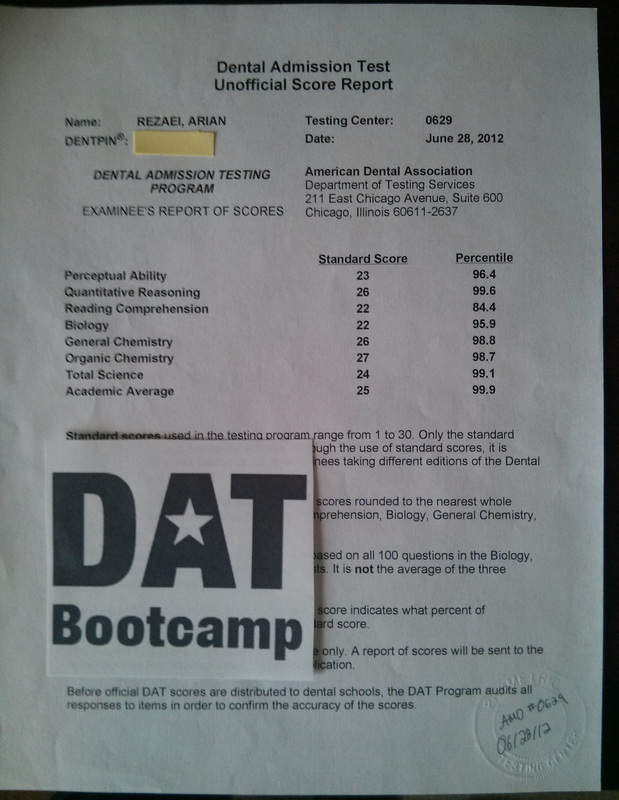 Out of all the programs and DAT prep materials I used, DAT Bootcamp, by far, is the most similar to the actual exam. All of the sections on the actual DAT were similar in difficulty or easier (the QR section!). The detailed and colorful explanations for PAT significantly helped improve my score and certainly gave me that extra push in the end. I am so grateful for coming across this program, just wish I did sooner. If I had to do anything differently, it would have been preparing for the reading comprehension section more. For my first month of studying, it was the only subject I did not give any attention to, which impacted my reading speed. I wish I read more articles such as the ones posted in the recommended reading section on DAT Bootcamp. Reading comprehension comes with practice of reading and knowing how to decipher scientific journals and articles. This section is just as important as the others, so don’t forget to keep reading! My score breakdown is 25 AA, 26 TS, 26 BIO, 25 GC, 29 OC, 21 RC, 24 PAT, 24 QR.